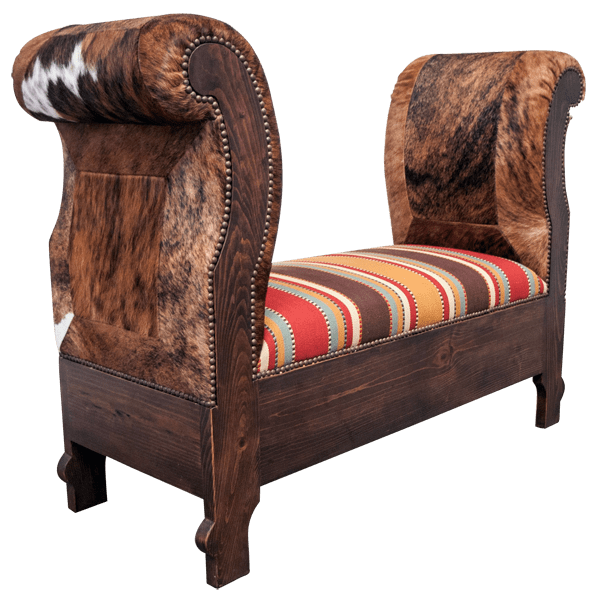 With its imaginative details, this creative, handcrafted, Western style bench will be a focal point wherever it is placed. 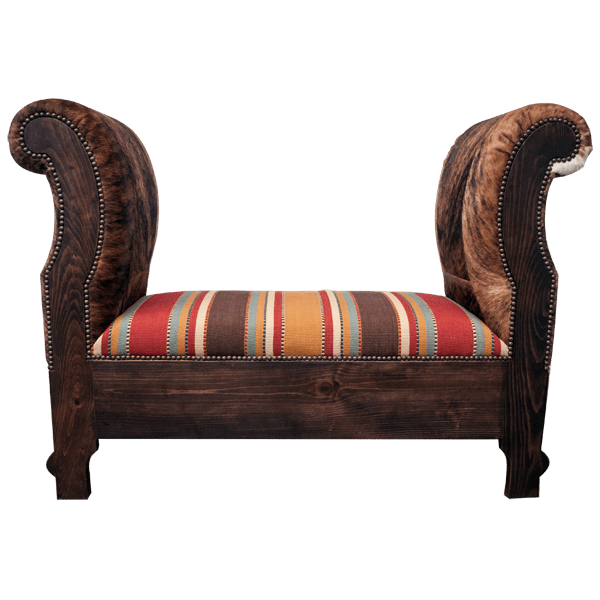 The comfortable, well padded seat is upholstered with colorful, fine fabric, and the fabric is hand tacked to the wood frame with ornate, gilt nails. The lateral ends of the bench are adorned with tall, curved, graceful armrests, and each side of the armrests are upholstered with patterned cowhide. 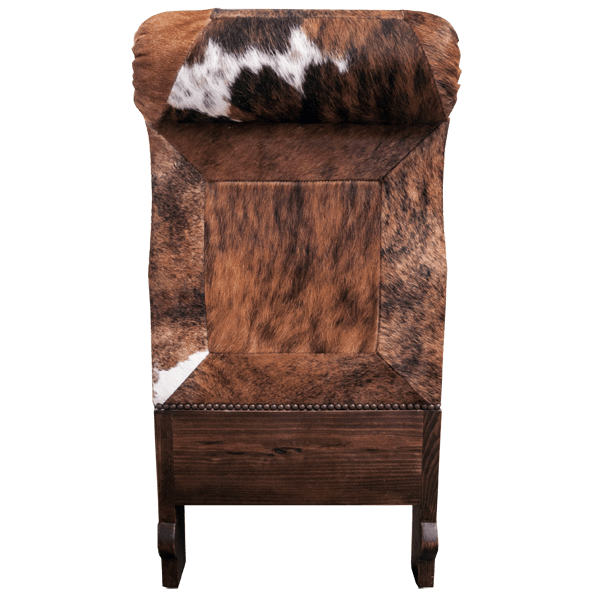 The cowhide is double stitched together for extra strength and durability, and it is also hand tacked to the frame with beautiful, gilt nails. The seat rest on a solid wood base, and the bench is supported by slightly, curved legs. The bench has a gorgeous, antique finish, and it is made with the best, sustainable, solid wood available. It is 100% customizable.